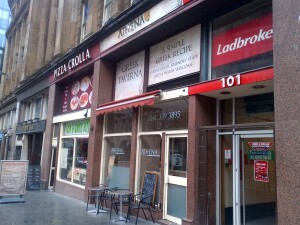 Edinburgh isn’t overly blessed with Greek food places. My Big Fat Greek Kitchen is decent, but a little expensive. The Steamie does an excellent line in informal Greek food, served in a pub setting. That’s pretty much all she wrote, though. 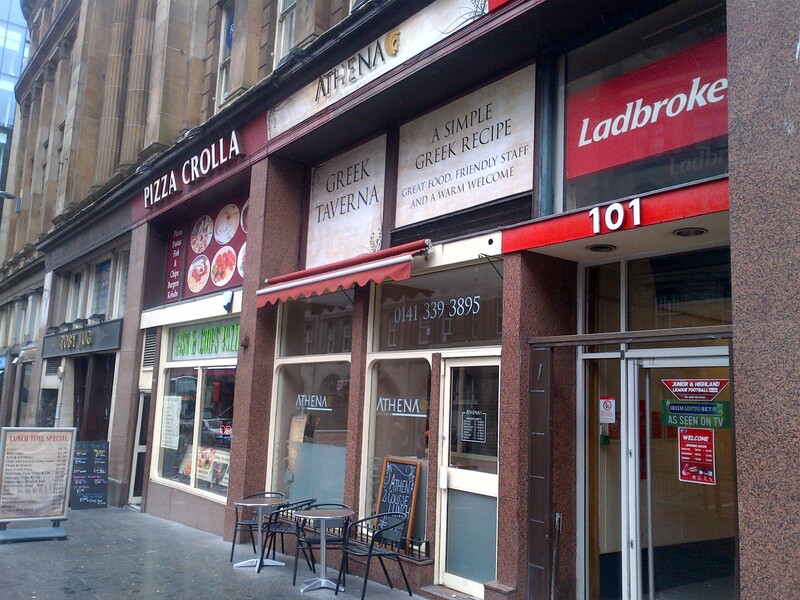 In Glasgow’s city centre, Athena Greek Taverna does a good line in hearty, inexpensive Greek food, with an attractive sounding two-course lunch for £4.95, which successfully lured me in for a visit, today. Clearly a popular lunchtime spot, the lively atmosphere and cheery traditional soundtrack immediately set the tone for this welcoming and homely place. 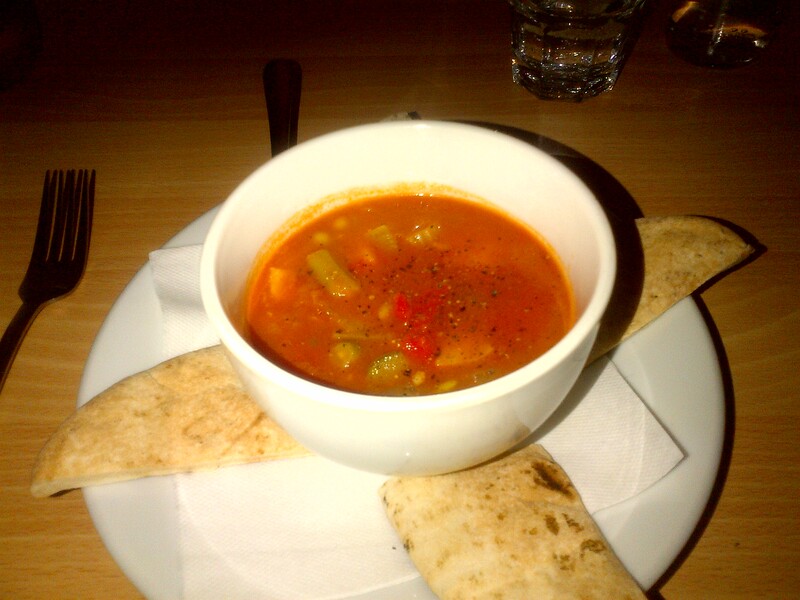 From their lunchtime menu, I opted for the soup following by their fasolia karavisia, a kind of bean and vegetable stew served with salad and pitta. The soup soon appeared, with today’s selection being a simple tomato-based vegetable broth. It was a little under-seasoned, but this was soon rectified. It was hearty, full of vegetable goodness, and exactly the kind of thing that was required to chase away the cold and miserable conditions that were prevailing, outside. The main course stew was another warming plate of goodness. 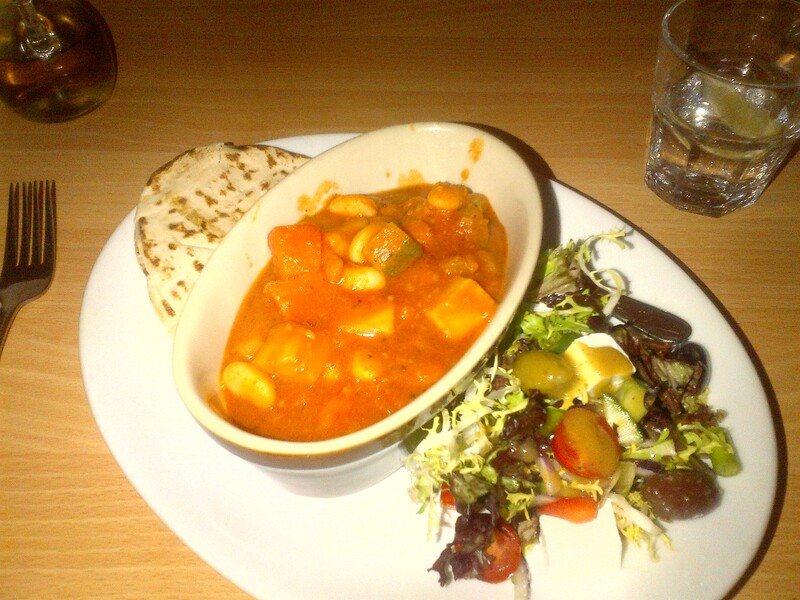 The simple salad was good, and the warm pitta a nice accompaniment to this rustic dish. It was probably a little too similar to my starter, but that was my fault for choosing a pair winter warmers, instead of sampling their souvlaki, which seemed to be a very popular choice with my fellow diners. So overall, Athena represents good lunchtime value. It’s a lively and friendly wee spot, serving hearty, home-style dishes. I didn’t make the most judicious choices, today, so didn’t see it to best advantage, but I’d happily pop back for another go, next time I’m looking for pleasingly rustic fare.